How bitcoin differs from regular fiat currency, such as dollar, pounds and euros. Where you can get a bitcoin. How to store your bitcoin and what a digital wallet is. So you are looking to buy your first bitcoin? It's not half as scary as it seems at first and is actually quite simple, once you have wrapped your head around the concept of it! Since bitcoin is a cryptocurrency, (the symbol for bitcoin is BTC), you can't just walk down to your local currency exchange and buy some currency with your debit card, like you would if you were going on vacation to Europe and were buying some Euros for the trip. However, the process of buying bitcoin is very comparable. You just have to complete the exchange online, rather than in person, and the currency is digital, rather than physical. How do I store bitcoin? The quick answer is this: you need a digital currency wallet. There are several types of digital wallet and several ways to store your bitcoin. Some wallets are physical devices that you can buy, much like a USB pen, that plug directly into your laptop or pc and the currency is stored on there. Others run on your smartphone and are free to download. Then the digital currency is kept there. Each has it's pro and cons, so it's really about picking which is right for you. A good place to start, is with a smartphone wallet. This is how I started and it worked well for me for several reasons. It's free to download, meaning you have no initial costs to get started. It's convenient. It's right in your pocket and doesn't require the use of your pc and laptop or any special software. It's secure. Most wallets are secure, but I loved the smartphone wallet since it could be locked with a passcode or your finger print and didn't require a long passphrase or complex login process. Smartphone wallers are hot wallets. This allowed me to use it out and about, to buy coffee and wherever else accepted bitcoin as payment. Physical 'hardware' wallets do not allow this. I chose to use Bread, which had an amazingly simple interface, was very user friendly and got me up and running in a matter of minutes. (Note: BRD is their new name after the launch of their own token, BRD). Here is a screenshot of the BRD wallet app on my smartphone. It comes with four wallets ready to go, Bitcoin, Bitcoin Cash, Ethereum and a wallet for their own coin, BRD. You can add lots more within the app though, so if you're looking for a different type of cryptocurrency, BRD will more than likely have it. We've reviewed various type of wallets, you can check out our cryptocurrency wallet comparison table of them all for a more in depth look at each. You can download the Bread (BRD) wallet for free on iOS and Android. So you've got a wallet, what next? Now you have a safe place to store your currency, the next thing is to actually buy some! You can do this by going through a cryptocurrency exchange. Just as with cryptocurrency wallets, there are many exchanges you can use. Each offering different benefits and drawbacks. Again, this choice comes down to personal preference, along with which ones are available in your country or local currency. All cryptocurrency exchange websites work in a very similar way. Each one requires you to sign up for an account. Most of them require you to become a verified user. This is a straight-forward process that involves following a few steps, such as uploading a scan of some documentation or a passport to prove who you are. Once you are verified, you can begin using the website. To buy bitcoin, first of all, decide how much you want to spend, or how much bitcoin you need. You will see the amount you are spending along with how much you will be receiving on the exchange website. There will be a small fee involved in order to buy the bitcoin. This is usually negligible, but do check it out before you click the buy button as some exchanges have been known to charge high fees. The first cryptocurrency exchange I used was Coinbase. This was for several reasons; it was user-friendly, intuitive, has a clean interface and verification was quick and easy. I'll give you a guide on how to buy bitcoin using Coinbase, as I found them to be the simplest to get to grips with if you are new to all this. Once you've signed up to Coinbase and verified your account, it's time to buy bitcoin. Clicking the 'buy/sell' button will bring up their 'cart' area. Select which coin you wish to buy, in this case, I chose bitcoin. Select your payment method. I added my bank account to Coinbase, but you can also add a credit or debit card. Input the amount you wish to exchange. You can input your local currency, in my case, this is GBP. Alternatively, you can chose the amount of BTC you wish to receive. Displayed on the right is your transaction details, which you can confirm before clicking 'buy'. This is also where you will find the Coinbase fees you will be paying. Once you're happy with this, click the buy button and the bitcoin will be sent to your Coinbase wallet. What is a Coinbase wallet? When you make an exchange with Coinbase, your bitcoin is stored with them, on their website. The next step is to send the currency to your Bread wallet. Why do we need to do this if Coinbase gives us a wallet? The direct answer here is security. Yes, you can leave your cryptocurrency with Coinbase, however, if the website was to go down, get hacked or have some sort of issue where it had to close down, your money would become inaccessible. Therefore, I highly recommend moving your funds to your Bread wallet and to never leave funds in any exchange wallet for extended periods of time. Sending your bitcoin from Coinbase to Bread doesn't take long and is very easy. On the Coinbase, click the 'accounts' tab, where you will see a list of all your wallets and how much is in each. The easiest way to input this address into Coinbase without making a mistake somewhere is to click the share button in Bread, and then email it to yourself so you can access it on the web. This is far from a seamless solution but it beats writing it out character by character and once it is saved with Coinbase, you won't need to repeat the process. Your wallet address is stored in your account area for future use. Select the amount you want to send, in either your local currency or bitcoin. You can add a message if you wish. Then click 'continue'. This will begin the transfer and the funds will be moved to your BRD wallet shortly. Now you have your first bitcoin! Or at least part of one! 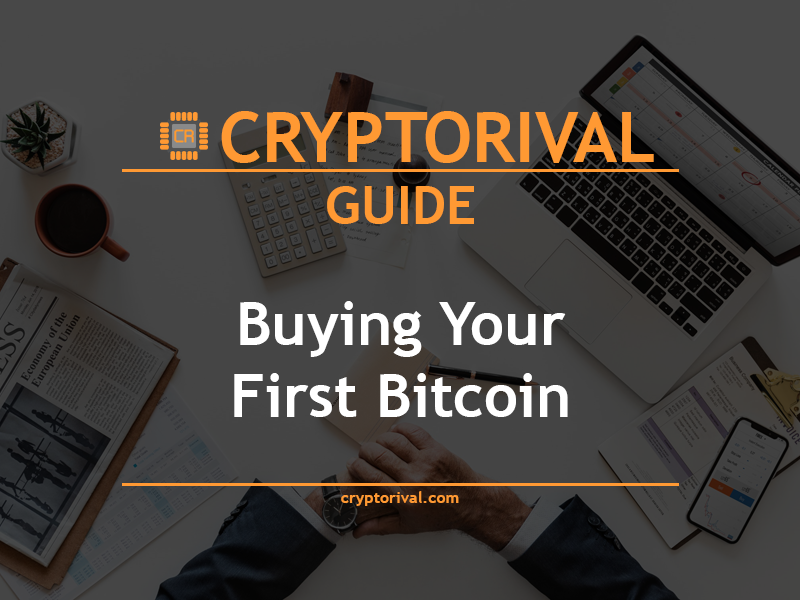 There is a lot more to buying, owning, selling and using bitcoin, but for a beginner, this covers the basics and will get you started on the way to becoming a member of the cryptocurrency world. Please note: buying bitcoin can be risky and is not a sure thing. Be careful with your wallet too; if you lose it or give someone else access, your money is unprotected. Treat it like cash.